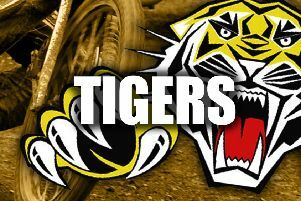 Tigers' boss Simon Stead wants his side to produce a “big performance” in their last home league fixture. 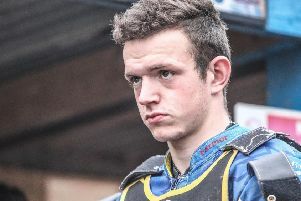 Sheffield have slumped to four straight defeats at Owlerton leaving the defence of the Championship title in tatters. Now they face in-form Edinburgh tomorrow bidding to restore some pride in the final league clash at Owlerton this season. Stead wants a massive display from the side. He said: “It’s obviously been a hard month or so for everyone at the club. "We all feel for the fans so it would be nice to go out on a positive note. “We’ve seen some progress over the past week with a more fighting display at Edinburgh and terrific performances from Kasper Andersen and James Shanes. Kyle Howarth is mystified by the collapse of the side’s title hopes. He admitted: “If I could answer it, I would. Obviously it’s been a totally different year to last year. “We were Champions and dominated the league last season. We went to Edinburgh twice and won and at Glasgow and it’s been so hard and no real explanation. “I think it just takes one bad egg to upset the basket and I think we all know what that egg is. It upset the camp and the morale. “But we need to move on. We feel sorry for the fans, they don’t deserve it nor do the promotion. And obviously as riders we don’t want this either. Sheffield bosses have already announced plans to reveal a first signing for 2019 – a new club asset – when they race tonight.